As we head into the final weekend before Christmas I’d like to extend a Merry Christmas and/or Happy Holidays to all. Unfortunately our peaceful holiday will be a little less so with the yesterday’s rejection of Speaker Boehner’s “fiscal cliff” proposal. But please, for those concerned, don’t let Washington politics detract from personal celebrations and family time. I still will hold fast to my belief that no politician wants to head into the 2014 mid-term elections being labeled as one of the congresspersons that caused the great recession of 2013. I personally will spend extra time reviewing portfolios, strategies, and refining our outlook for the coming year. My overall position is unchanged – this market wants to go higher. But I am very leery of political developments and am constantly looking over my shoulder for what can go wrong. Our biggest concern at this point is future tax policy as dividend stocks, one of our portfolio mainstays, have been rocked by threats of increased tax rates on both capital gains and dividend income. But for us, the positives outweigh the negatives. Simply put, companies are flush with cash. It will get put to use through higher dividends, stock buy backs, or business development. All three options are good for us, and ultimately good for the economy. I will be posting my 2013 outlook soon. For those concerned or just with questions, please call the office and schedule time to go over your portfolio strategy. 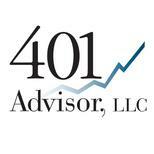 Or for readers that aren’t yet clients, feel free to come in and let us discuss our investment strategy and outlook.